Come join Troy Construction in Charlotte, NC March 13-15th for the SGA Spring Gas Conference, we will be at booth 302. Drop by our booth to meet the team and a chance to win an Amazon Echo! Troy Construction is co-sponsoring SGA Spring Gas Conference's 1st annual golf tournament, March 15th. 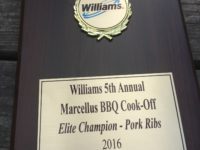 We hope to see everyone out there. Doug Warner joined the Troy Construction family eight years ago as a Project Manager, bringing a wealth of experience and knowledge. 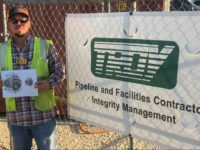 After years working as a Project Manager, Doug was promoted to Director of Mainline Pipeline and then to Vice President of Operations due to his extraordinary skills. Troy Construction is pleased to announce the promotion of Doug as Chief Operations Officer as of October 2015. Troy Construction would like to congratulate Doug on his promotion. Troy Construction will be exhibiting at the FEPA Summer Symposium at Hammock Beach Resort. Come visit us at booth 26! 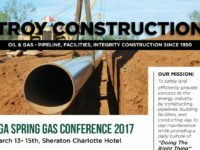 Troy Construction will be attending the SGA Spring Gas Conference and Expo in Charlotte, NC March 23 & 24th. Building Expansion. Troy Construction recently expanded our headquarters by adding a new wing, which allows us to operate more efficiently yet host our clients and vendors in a more welcoming, comfortable atmosphere. Eastern Region Office We are pleased to announce the addition and success of our eastern region office in Commerce, Georgia. This has allowed us to significantly expand our geographical reach.